Nepal Street Vendors’ Union(NEST) Province no 3 gathering has been concluded. The Gathering was inaugurated by GEFONT Secretary General Cde.Janak Chaudhary. GEFONT Province no 3 President Cde. Ramhari Nepal, NEST congress delegates council chief Cde. Narayan Neupane and NEST President Cde. 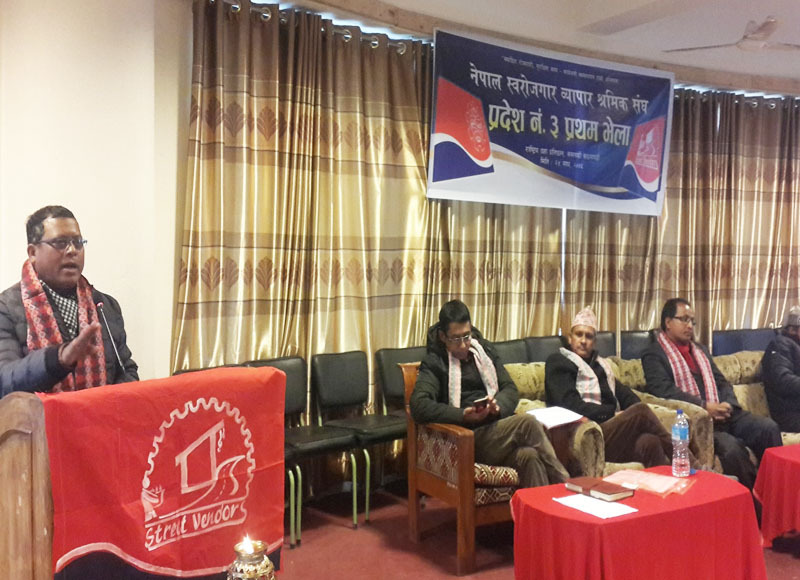 Kumar Sapkota also addressed the programme. The Gathering has formed eleven member NESTProvince no 3 committee under the Presidency of Cde.Navaraj Pandit.